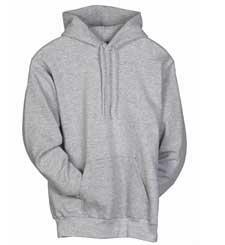 P170 Hanes 7.8 oz 50/50 Pullover Hood. Hanes Pullover Hood is a perennial favorite. Here's why: 50% cotton, 50% polyester Printpro XP patented low pill, high-stitch density fabric. Dyed to match drawstring (Ash and Light Steel have white drawstring); Extra large pouch pocket; rib cuffs and bottom band. Type in the quantity for each color and size that you want, and click the "add to cart" button to add them to your basket.